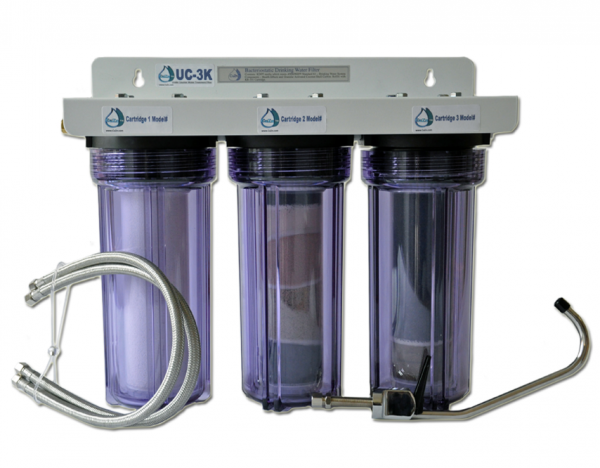 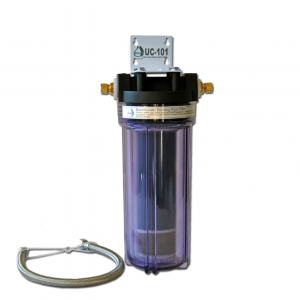 The UC-3K water filtration system includes standard 3rd faucet, connections/parts required for installation, a wide spectrum & 2 specialty cartridges of your choice. 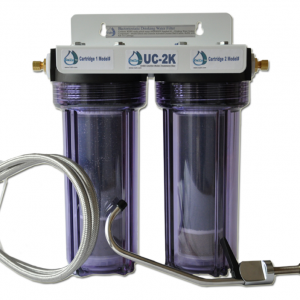 The UC-3K water filtration system comes standard 3rd faucet, connections required for installation, a wide spectrum & 2 specialty cartridges of your choice. The UC-3K triple cartridge system utilizes our wide-spectrum cartridges (KR-101N, KR-101A or CR-1) in tandem with a specialty cartridges designed to target a specific contaminant of concern.